The bar has been set high by the 58th San Francisco International Film Festival under the guidance of head programmer Rachel Rosen and her team of savvy film programmers, Rod Armstrong, Sean Uyehara, and Audrey Chang. New executive director Noah Cowan, with a full year behind him here, has worked with his staff and the Bay Area film community to bring exciting new programs and ideas to the oldest film festival in the Americas—an event with roots firmly planted, but a willingness to be adventurous as we look to the future and the evolution of the moving image. There is a lot to enjoy. Here are selections I’ve seen with audiences, and that I believe are exceptional. But also be bold and try a show you have never heard about—you may soon be telling your friends about a moviegoing highlight. First, there are several Masters and Awards & Special Events programs that should be on your calendar. The full festival schedule can be found here. Brandy in the Wilderness — Brandy in the Wilderness is a movie admired and not forgotten by those who saw it in 1969 and the next few years as it played independent cinemas and museums. But then Stanton Kaye’s delightful road movie seemed to disappear, until a few years ago, when Telluride Film Festival co-founder/director Tom Luddy enthusiastically brought Kaye and the movie to that festival in the Colorado mountains to a tremendous response. Though an original print and other materials were at the UCLA Film & Television Archive, the archive had paid little attention. When the UCLA team saw the film and the audience reaction, a plan to fully restore the movie went into high gear. San Francisco audiences have a chance to (re)discover Brandy this weekend, with Stanton Kaye on hand to tell stories about his filmmaking adventures. It is a rare fiction work about a young independent filmmaker creating a movie that really delivers. The story unfolds from two points of view as a couple travels from New York to Los Angeles, making unlikely pit stops along the way. 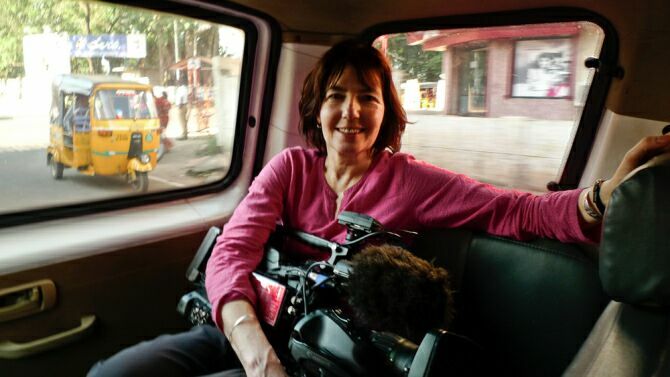 Roxie Theater, 8 p.m.
POV Award: Kim Longinotto: Dreamcatcher — Documentarian Kim Longinotto receives the POV Award, given to a filmmaker whose work generally ventures outside the traditional, commercial narrative feature world. She’ll talk about her twenty powerful films, in which she unobtrusively captures truths rarely heard outside the realms depicted. Longinotto finds her subjects in places as far-flung as Africa, Iran, Britain and Japan. “Hold the rest of the world accountable for what’s been done to you … It’s not your fault. It’s not your fault,” is the mantra of Brenda Myers-Powell as this incredible woman carries out her mission to stop the cycle of neglect, violence and exploitation that both women and girls of inner-city Chicago face in Dreamcatcher . She works with teens and prostitutes, coming from her own experience, and you will want to give her a big hug like those that she offers, along with support and love. Longinotto has a way of gaining the total trust of her subjects, who then share their private lives. Nobody is embarrassed, and they reveal tremendous insight. This is the kind of movie that inspires. Sundance Kabuki Cinemas, 3 p.m. This interview with Longinotto offers good insight to prepare you for the in-person conversation. To learn more about an Oakland organization doing similar work, check out MISSSEY. Welcome, Space Brothers: The Films of The Unarius Academy of Science — This one-time screening with Jodi Wille of Cinefamily LA promises to be one of the stranger nights you will spend at the movies. In the late 1970s, I presented evenings of Unarius Academy of Science films, dedicated to spreading reincarnation ideas to the masses, sharing their “interdimensional science of life” through public-access TV—visions the tube had never presented. Expect some of their craziest videos and their “masterwork” The Arrival . Unarius members will be there to answer questions. Mel Novikoff Award: Lenny Borger: Monte-Cristo — Each year, a person or organization receives the Mel Novikoff Award, in memory of the passionate veteran showman who operated the Surf, Clay, and Lumiere and restored the Castro. The honor goes to those who, like Novikoff, have a passion for spreading the word and encouraging appreciation of quality cinema. Past winners have included writers, archivists, exhibitors, distributors, filmmakers, restoration experts and cinematheques. This year the award goes to Lenny Borger. If you watch foreign films, especially French-language movies, chances are Borger’s translations have increased your appreciation of them. A sleuth unearthing lost works and a scholar whose prose about cinema moves us, Borger will be in conversation with Variety’s Scott Foundas, discussing his search for lost films, as well as the art of subtitling, something we take for granted when it is properly done and hate when it is not. Lenny Borger does the former. Borger will present one of those almost-forgotten films, Henri Fescourt’s Monte-Cristo (1929). This lavish costume epic, full of adventure and melodrama, is as effective today as when it was made. Unfortunately for all involved, it was a silent film released when sound was a sensation, and it failed at the box office. This screening should be one of 2015’s top treats. Sundance Kabuki Cinemas, 1 p.m.
Douglas Trumbull on the Blade Runner set. State of Cinema Address: Douglas Trumbull — If you saw Stanley Kubrick’s 2001: A Space Odyssey, Close Encounters of The Third Kind, Blade Runner and Star Trek: The Motion Picture among others when they came to theaters, you’ve experienced special effects that were unlike any seen before. People returned to re-watch these movies many times partly because of the groundbreaking images created by Douglas Trumbull. This visionary is always thinking about new ways for audiences to experience movies, in terms of actual content as well as the shape of the screen and arrangement of sound. Don’t miss this rare chance to hear his vision for the future of the medium. Sundance Kabuki Cinemas, 6:30 p.m.
Kronos Quartet Beyond Zero: 1914-1918 — San Francisco’s Kronos Quartet has captured the imagination of audiences around the world with their adventurous presentations. This string quartet collaborates with SFIFF Golden Gate Award winner Bill Morrison (Decasia SFIFF 2002, Re:Awakenings 2014) who has assembled a most unusual, experimental look at World War I using footage unseen by modern audiences. The score is by by Serbian composer Aleksandra Vrebalov. Sundance Kabuki Cinemas, 6:30 p.m.
Court — This is a most unusual courtroom drama about Narayan Kamble, a 65-year-old tutor and social activist who takes his band to working-class communities. Kamble is arrested when he is accused of singing a song that inspired a suicide. The trial is a mockery of the justice system we expect to be upheld by the judge and lawyers, who prefer to follow outdated laws to move towards a predetermined decision, despite the absurdity of the charges. As with the best courtroom dramas, you will hold on to every word. Sundance Kabuki Cinemas, Sun/3, 4 p.m.; Pacific Film Archive Theater, Wed/6, 6:30 p.m.
Run — Philippe Lacôte’s debut feature is based on the true story of a man in the Ivory Coast who reinvents himself during a journey that leads to him assassinating the prime minister. (The film starts with this event and then goes into flashbacks.) The result is entertaining at times, with a very interesting story, but ultimately is too episodic to build to full power. The protagonist’s time as an assistant to a character named Greedy Gladys, who eats vast amounts of food in front of poor villagers as entertainment (people pay for the show), is both humorous and sickly ironic. A worthwhile look into a culture rarely seen by westerners. Sundance Kabuki Cinemas, Sat/2, 2 p.m. and Sun/3, 8:45 p.m; Pacific Film Archive Theater, Thurs/7, 8:40 p.m. But since Cannes it has built an enthusiastic following and I don’t mind being proven wrong. Sundance Kabuki Cinemas, Sat/2, 3:15 p.m.; Landmark’s Clay Theatre, Mon/4, 9 p.m. The Wolfpack — In The Wolfpack, six boys who mostly dress the same and their older sister are home-schooled and confined to their lower Manhattan apartment. These kids are clearly smart—maybe too smart for their own good. They rarely get out for fresh air and their view of the world is formed by watching movies that inspire there own moviemaking. They clearly want an escape, as their father stays home and drinks too much. Like Grey Gardens and Capturing the Friedmans we feel a little guilty about staring, mouth agape, at these lives. But ultimately the kids turn out better-adjusted than we could have imagined. Post-screening at the Sundance Kabuki, they charmed the audience with their enthusiasm and humor. Landmark’s Clay Theatre, Sun/3, 9:30 p.m.; Sundance Kabuki Cinemas, Thurs/7, 5:45 p.m.
Winter Sleep—Nuri Bilge Ceylan’s sublime newest work, Winter Sleep finds a middle-aged frustrated writer/intellectual running an inherited hotel in the stunning Cappadocia region of Turkey. As winter sets in there are few guests, and tension between the man, his younger wife and his sister make for considerable conversation about many issues. His controlling personality tends to alienate the women. His interactions with others in the village fill things out, providing a portrait of a man. The film did not need to be 3:20 in length, but oddly, it moves more quickly than Ceylan’s previous features, which tend to contain long silent scenes of people set against stunning natural backdrops. A strong entry. Tues/5, 7:30 p.m. 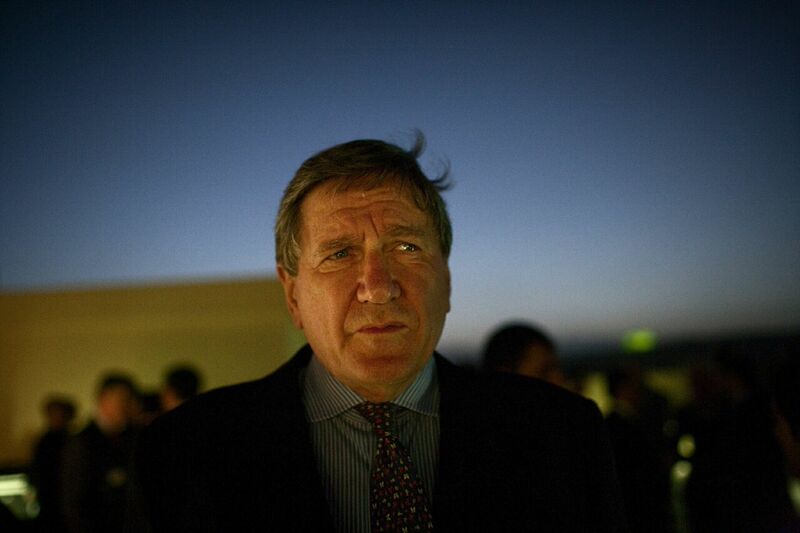 The Diplomat — Director David Holbrooke engages us with a film that sheds much-needed light on the difficult balancing act of diplomats, specifically Ambassador Richard Holbrooke, who has worked for every Democratic president since the 1960s. His career took him from being in the Special Forces in Vietnam to brokering a peace agreement in Bosnia, and later, trying to establish peace in Afghanistan. Though his strong opinions sometimes differed from those of the administrations in which he served, he backed each president’s ultimate decisions. But with Obama, he found great conflict and little mutual respect. Holbrooke began having private conversations with Watergate reporter Bob Woodward, as well as taping his own thoughts and frustrations each day. Selections of both are revealed for the first time in the film. The tension on view here may well have lead to Holbrooke’s sudden death at age 69. The Diplomat is a revealing, often funny, and sometimes touching exploration of the director’s attempts to understand his larger-than-life father. The younger Holbroooke explains, “I got to know him better in death than I ever did in life.” Over 75 interviews were completed for the movie, but less than half made it into the finished work, with Hillary and Bill Clinton, Madeleine Albright, David Petraeus, Kofi Annan and Ashraf Ghani among them. The current White House turned him down. Sundance Kabuki Cinemas, Sun/3, 12:45 p.m.
Western—Along the US/Mexican border are two towns, Eagle Pass and Piedras Negras. Western shows how time has almost come to a halt here— only automobiles and modern conveniences remind us that this is not a western town of 150 years ago. There are cattle ranchers who do business across the border, and the violence of the drug cartels seems far away. The mayors often visit each other’s towns and events—but what seems like a romantic coexistence suddenly changes when the government proposes building a wall between the countries that will hamper commerce essential to survival. 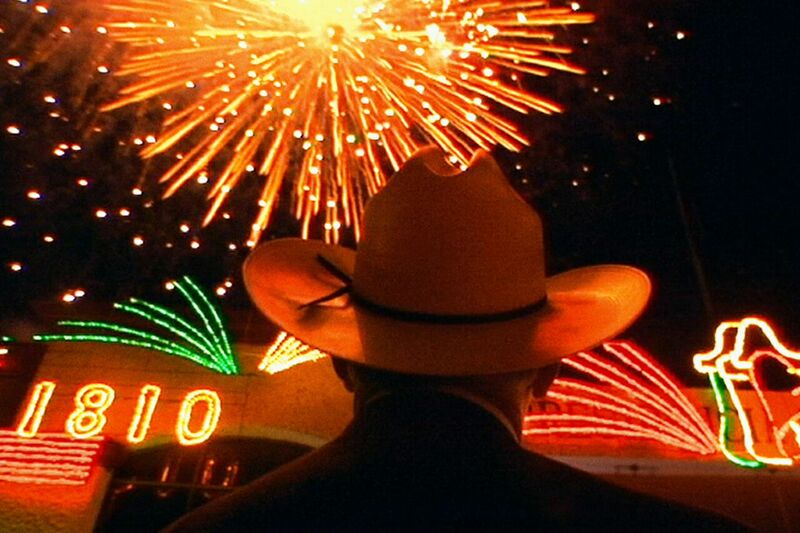 When the mayor of Eagle Pass is shot at while visiting Piedras Negras, and a mysterious airplane crash kills the mayor of that town, relationships are challenged. What is the future of this way of life? Filmmakers Bill Ross IV and Turner Ross focus their verité camera on people in a manner that carefully allows us to see a way of life in transition. Pacific Film Archive, Sat/2, 5:40 p.m.; Sundance Kabuki Cinemas, Sun/3, 3:45 p.m. and Mon/4, 9:30 p.m.
How to Smell A Rose: A Visit with Ricky Leacock in Normandy and Chef’s Table were covered last week in EDF—read about them in our “Food Films at the 58th SFIFF” article. Lastly, here are some highlights from the first week of SFIFF 58 that I suggest you keep an eye out for upon theatrical release: What Happened, Miss Simone?, The Black Panthers: Vanguard of the Revolution, The Postman’s White Nights, A Borrowed Identity, The Look of Silence, The Royal Road, The Overnight, Me and Earl and the Dying Girl, and Electric Boogaloo: The Wild, Untold Story of Cannon Films. Gary Meyer co-founded Landmark Theatres in 1975, the first national arthouse chain in the U.S. focused on creative marketing strategies to build loyal audiences for non-Hollywood fare. After selling Landmark, he consulted on projects for Sundance Cinemas and the Brooklyn Academy of Music’s Rose Cinemas, created the Dockers Classically Independent Film Festival and Tube Film Festival for the X Games, and resurrected the 1926 Balboa Theatre in San Francisco. Meyer joined the Telluride Film Festival in 1998, becoming a Festival Co-Director in 2007. Meyer also founded this online magazine, EatDrinkFilms.com in 2014, with the EatDrinkFilms Festival to tour nationally in 2015. This entry was posted in Films, Films: Festivals, Films: Reviews and tagged Films, Gary Meyer, San Francisco International Film Festival. Bookmark the permalink.